September is Passport Awareness month. The Bureau of Consular Affairs choose the last summer days to turn us into passport-wielding Jedis. On the program, resources, tips and guides related to passport services. While the BCA might be targeting traveling Americans and passports, some of the information they provide as helpful to the general public. 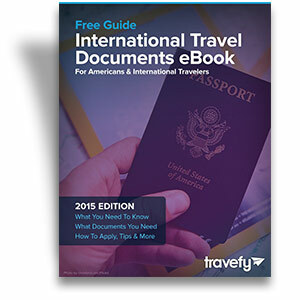 Check out below for the main passport-related topics to look into before hitting the road. One thing we often overlook is to know our passport’s DOE and take necessary measures to extend it in time. Many countries (including the US) deny entry to holders of passports with less than 6 months of validity left. That is why it is always sound to start looking into your travel destination early and reserve plenty of time to apply for required travel documents. Do you have a trip in the upcoming 2 weeks and need to secure travel documents fast? For $60, you could request an expedite service. Here is a link to find a facility or center near you. Note that it is always better to avoid the extra fee and the last-second adrenaline rush. You might get your passport on time, but the stress will make you forget other things. You can bet on that. Know that everyone planning an international travel needs travel documents. You should also keep in mind that travel paperwork for minors has its own special requirements and constraints. For instance, passports for minors require parental consent and have 5 years of validity instead of 10. Passports, immunization booklets, and payment cards all need special attention and care. General wisdom is to keep them on you, in plastic bags, and make digital copies. For more safety tips, check out this excellent post. The last thing you want would be to lose your identity abroad when no one knows you. “Chance favors the prepared mind”. The first thing you want to do before leaving your home country is to share your itinerary with your family and friends, and your bank. You want to let your bank know when and where you will be abroad. This will keep them from seeing your overseas transactions as fraudulent and blocking them. Check out similar financial tips for travelers. Also letting loved ones know about your trip is a good safety measure. International travelers can and should enroll for the Safe Traveler Enrollment Program (STEP). The program allows US authorities to become your emergency contacts abroad. They also provide travel warnings and alerts about specific travel destinations. For more passport-related tips and guides, be sure to head here all throughout September. The first step in trip planning is securing travel documents. Also check out this article for travel essentials you should also take care of early. Follow these simple steps to gain in time and productivity. What other tips or pieces of advise would you add to this list? Add to the discussion in the comment box below.